life in this historic community. sea. ALF meets on the first Wednesday of the month at the lifeboat station. 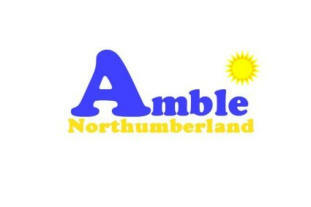 Local attractions open at discounted rates for Northumberland residents! Check back for details! Click on www.burghamhorsetrials.co.uk for further information. Morpeth Northumbrian Gathering - April . RABC Push the Boat Out Event - Spring Bank Holiday Weekend (May) @ Alnmouth. rowing, sailing and canoing sessions on the estuary. Come half an hour in advance for check-in and briefing. and come prepared to get you and your feet a bit wet. For more details and to book please click here. Rothbury Food + Craft Festival – May Day Bank Holiday Monday . Northumberland Coastal Challenge – May Day Bank Holiday. A 26 mile linear walk following the coast from just north of Bamburgh to Alnmouth. Castle and Gardens in Northumberland. runners, beginners and fun runners alike. Held at Bywell. Put the next date in your diary now for a fantastic day out. reputation with both the public and the participants. A weekend of traditional music, dance and events in Rothbury in the beautiful Coquet Valley. Held on the first Saturday in August, Powburn is the first of the annual Cheviot Sheep and Horticultural Shows. See www.powburnshow.com for details of the next event. Red Row Vintage Club Annual Rally - 3 and 4 August at Druridge Bay Country Park. and stationary engines as well as craft stalls and trade stands. A great family day out. Contact John Dunn for further information. See @NlandSteamFair for latest details. Eight days of music, song and dance in and around the historic town of Alnwick. Acklington Scarecrow Weekend - August. This popular event will again take place in August. The annual 'Exhibition' held in the grounds of historic Warkworth Castle. (RABC) which promotes boating in the Alnmouth area, including dinghy and cruiser sailing, fishing and canoeing. raising funds for a new Shannon Lifeboat! Stalls, Lifeboat displays, souvenirs - a great Bank Holiday day out! The 122nd Agricultural Show - bringing town and countryside together. Gates open 9am. Annual Fundraising day in aid of the RNLI - stalls, displays, souvenirs - a great Bank Holiday day out! orientated day, with free children's activities, car boot sale, tea room, stalls, and fun dog show. coastline, with a spectacular backdrop of the mythical and historical Holy Island of Lindisfarne. Organised by Berwick's Slow Food Group, the Festival attracts thousands of visitors from all over the UK. After taking a break in 2015, the Festival will be back bigger and better than ever. M illfield Heavy Horse Association - Looking Back : October . Northumberland Vintage Tractor Rally - October at Brunton Airfield nr Alnwick. See northumberlandvintagetractorclub.co.uk for further details. for the festive season. With a visit from Santa, late night shopping and festive singing, an event not to be missed! THE SILL National Landscape Discovery Centre is now OPEN!! !